Unbelievable value - this wonderful sewing and embroidery model has colour screen and the ability to combine designs on screen before stitching. 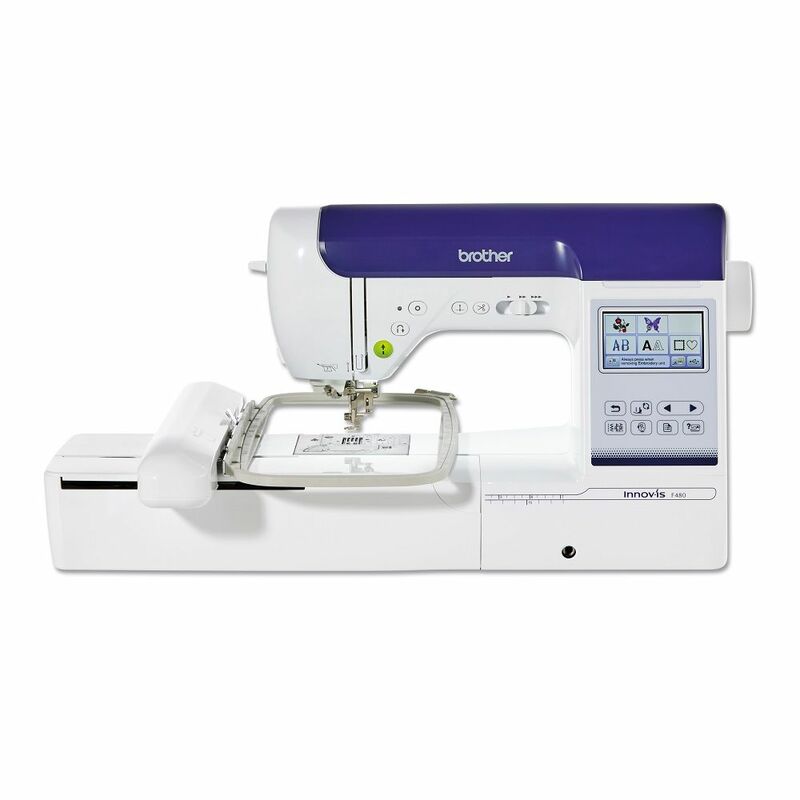 Innov-is F480 offers sewing in four directions. All sewing information displayed on a clear, backlit screen. The Innov-is F480 is equipped with a coloured touchscreen display. Achieve the best possible stitch quality across different fabrics by adjusting the tension of the upper thread. Innov-is F480 provides automatic control. The Innov-is F480 is equipped with upper and lower thread sensors that warn when thread is broken or has run out. The embroidery machines have a large embroidery area so you can express your creative ideas and make even bigger and more intricate designs. Choose from a wide variety of florals, animals, geometrics, seasonal designs and much more. With our built-in designs, you can start embroidering right away. Easily personalise your sewing and embroidery projects by choosing from 11 built-in font styles, available in 3 sizes. Put the finishing touch to your embroidery with an elegant frame. Choose from 10 frame shapes and 14 stitch types for an overall total of 140 different patterns available. Combine with lettering to create unique and stylish monograms. Easily adjust the size, rotation or mirror embroidery patterns with the touch of a button. This function also enables embroidery patterns to be combined or lettering to be added to a design. Add multiple lines of text and align it to the left, centre or right. Text rotation and font selection are also available from one single editing panel. Connect a USB device such as a USB flash drive or a card reader/writer and load your embroidery design directly to the machine. • Stitch guide foot "P"